David’s inspiring story of perseverance has been shared by many mainstream media channels, spreading his message to millions of people. In his new book, “Can’t Hurt Me,” David Goggins, who many call the “toughest man alive,” recalls how he overcame a difficult childhood to become a Navy SEAL. He sits down with Craig Melvin to discuss the lessons he learned about the body's capabilities. U.S. Armed Forces Icon, David Goggins revealed the secret to mastering our minds and defying the odds during his inspiring visit to our Home! David Goggins lives in a world where there is no easy button. This is a man who says he “hates” running—but then wakes up to bang out a marathon before sunrise. Retired Navy SEAL David Goggins has a saying: When your brain says that you’re done, you’re only 40 percent done. David Goggins: The Toughest Athlete On The Planet? David Goggins is a phenomenal athlete. An ultramarathon runner, Ironman finisher plus veteran of numerous other endurance races, Goggins has achieved more in a few short years than most of us physically or mentally could in a lifetime. After fellow commandos were killed in action in Afghanistan in 2005, Goggins, a Navy SEAL temporarily working a desk job, decided to pay tribute by setting the hardest goal he could think of: running the 135-mile Badwater Ultramarathon. There is the temptation to look at Petty Officer 1st Class David Goggins as a physically gifted freak whom mere mortals could never hope to emulate. That would be a mistake. Goggins explains how he transformed himself and won the war in his mind—from positive self-talk and building a 'cookie jar' of resilience, to the 40% rule. Goggins discusses his belief in suffering in order to grow, how to cultivate a warrior’s mindset and the importance of being true to yourself. David Goggins tells Joe Rogan about his journey, everything that went into it and his mindset: "doing more." 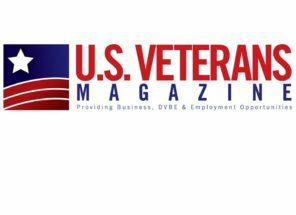 David Goggins graces the cover of U.S. Veterans Magazine. He discusses how he has persevered through many life challenges and defied all odds stacked against him. 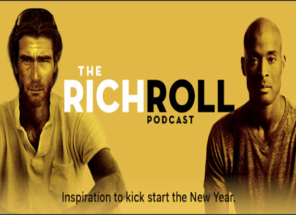 David Goggins rolls in 2019 on Rich Rolls Podcast. They discuss tools and hard truths needed in order to chase huge dreams, shatter personal limits and transform your life. Author and retired Navy SEAL David Goggins on CBS News discussing motivation and how one can achieve their true potential. Goggins talks about how to armor plate your mind. Overcome your own feelings and reach outside your comfort zone to realize your full potential. David discusses his book Can't Hurt Me with Joe Rogan including his mindset, childhood and struggle. Legendary Special Forces Veteran David Goggins has written a game plan for peak performance. Prepare to suffer.